Cape Town International Animation Festival 2019 will be featuring some serious animation gurus this year, including Academy Award/ Golden Globe winners. 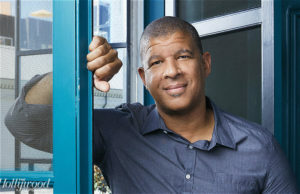 The festival has announced that Academy Award-winning producer Aron Warner and Academy Award-nominated director, Peter Ramsey (pictured right – Spider-Man: Into the Spider-Verse) will be joining this year’s festival line-up. Ramsey is the Academy Award-nominated director of Spider-Man: Into the Spider-Verse, which was released in December 2018 by Sony Pictures Animation and was announced as the winner of the Golden Globe for Best Animated Feature Film in January this year. Additionally, the film has taken home the following awards for Best Animated Film: the Critics’ Choice, the Los Angeles Film Critics Circle, the New York Film Critics Circle, the Producers Guild of America and the Los Angeles Online Film Critics Society. Proudly presented by Animation SA, the eighth Cape Town International Animation Festival 2019 (CTIAF) will take place from 8 to 10 March 2019 at the River Club in Observatory, Cape Town, South Africa. The CTIAF has become renowned for presenting world-class content, from animated films to insightful talks, workshops and masterclasses as well as providing a unique platform to engage with global industry leaders. The festival also hosts business-to-business sessions, producer events, networking opportunities and government panel discussions in addition to student competitions, a family programme and an outreach initiative. The full CTIAF programme of films, speakers and workshops will include internationally acclaimed films, such as African premieres of Mamoru Hosoda’s Golden Globe nominated Mirai as well as Makoto Shinkai’s romantic fantasy drama Your Name. Also premiering, hot off its debut on BBC One on Christmas Day, is Magic Light Pictures’ Zog, directed by Academy Award nominated director Max Lang and adapted from the book by Julia Donaldson and Axel Scheffler.